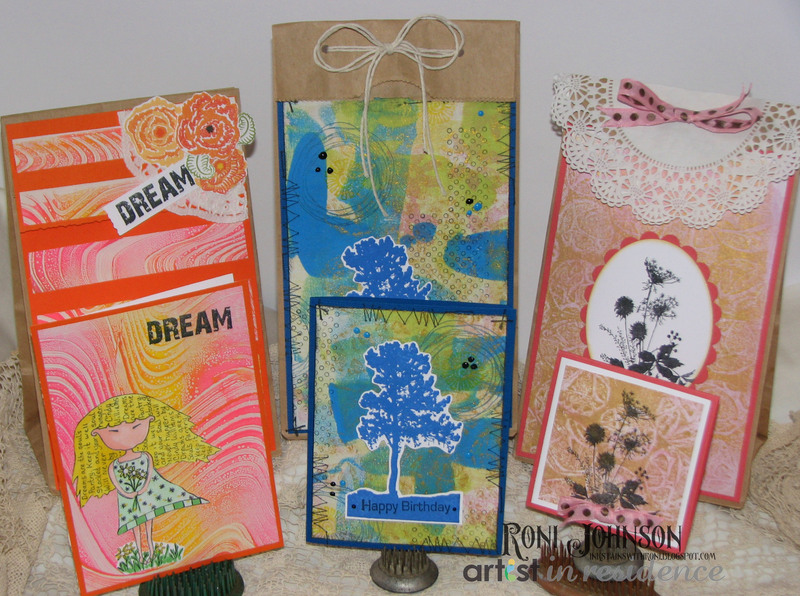 Faux Gelli Plate Prints are a super way to create unique and fun cards and gift bags to have on hand for any occasion. The Craft Mat and Memento Luxe inkers makes creating faux Gelli prints so quick and easy you’ll have a stack of beautiful prints in no time at all. Learn how to mimic this creative technique here! This entry was posted in Cards, PROJECTS, Roni Johnson and tagged Brushstix, Cards, Craft Mat, Delicata, Memento Luxe, Memento Markers, Radiant Neon. Bookmark the permalink.